In-contact offers a cloud based solution with local support. It can keep detailed records and history of donors, recipients and volunteers. 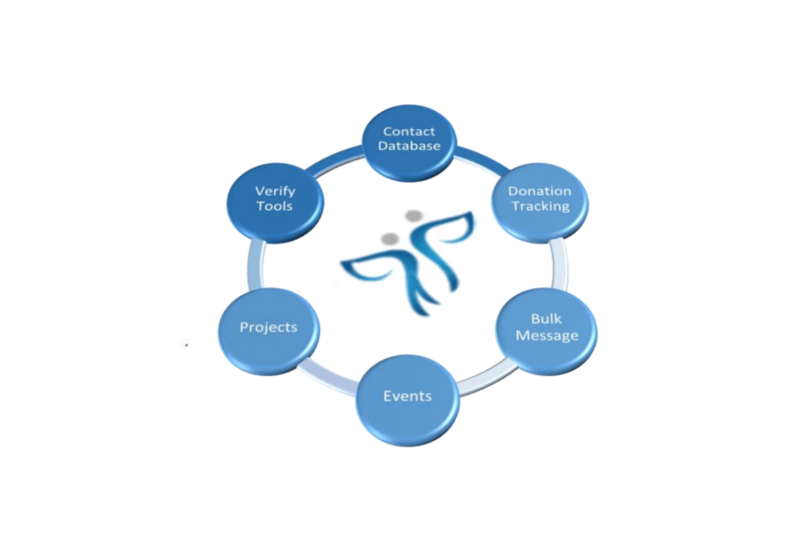 “Typically these organizations utilize separate web services for bulk email, bulk sms and event planning, whilst maintaining spreadsheets for contact information and others for donations and manually producing tax certificates. Keeping these databases in sync and up to date is difficult and effects the ability to keep consolidated information about sponsors. Without detailed history and accurate profiles sponsor knowledge and targeting is affected. In Contact strives to remove this complexity so that sponsor communication is optimized to maximize revenue.